Nudge helped the Home Office sail through Discovery to Live with the Fire England website. It’s been an absolute delight to work with the fantastic team at Nudge! Nudge works with an international pharmaceutical company, world-renowned healthcare experts, patient groups, think tanks and research companies to help shape the future of healthcare. You translated my mind into a beautiful brand and brought data to life. This project will help improve global healthcare. based in Bristol and London. in maintenance costs and a huge increase in the speed of rolling out new features. 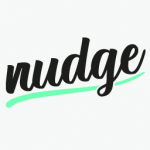 Nudge have delivered strategic acuity, creative and excellent UX time and time again.